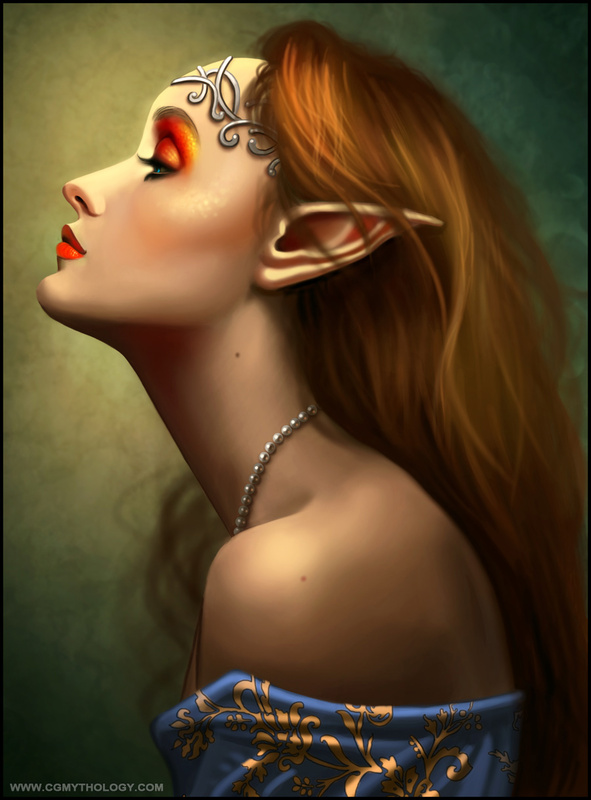 Portrait of an elf. I wanted this image to appear very elegant and classy. Additionally, I wanted to incorporate a realistic color scheme, while pushing certain colors, such as the red around her eye to bring more life and depth to the image. Overall I'm pleased with this portrait.